With the roll off roof sheds and the two 'Scopedomes'. 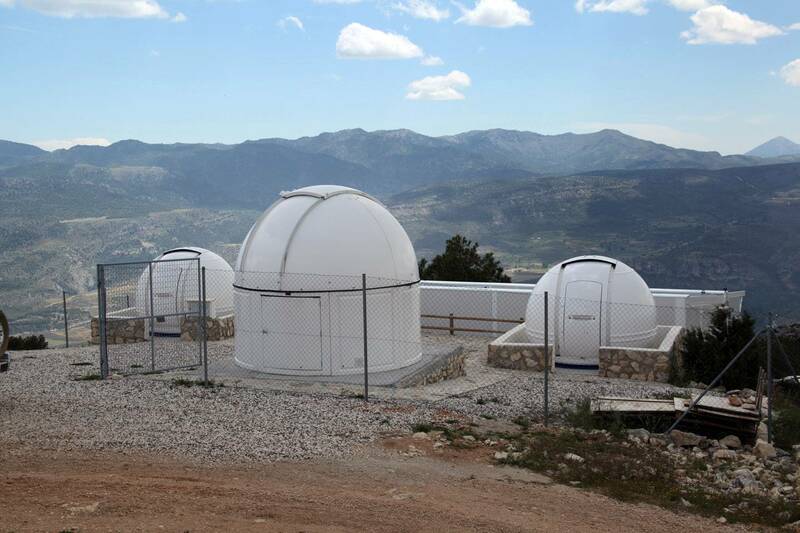 The large Sirius dome in the foreground was formerly sited at a friend's private observatory on La Palma. It housed a C14 mounted on a PME and run by 'Oversky' France. The remote observatory is at 1,650 metres above sea level and as well as hosting private telescopes is also part of the iTelescope network.